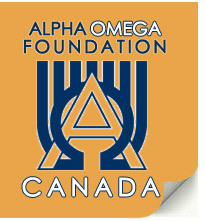 The grants are assessed by the grants committee prior to the annual foundation meeting and then presented to the members for a final vote for approval. The grants are for dental and dentally related interests and need to be received via email and 2 paper copies sent by the deadline of October 15, 2018. The Sherman prize helps fund undergrad students. Applications are now open until February 28, 2019. Please download the Information and Application Criteria and submit to shermanprize@aofoundation.ca by the due date above. Dental school, AO undergrad chapter affiliation, year of graduation etc. The purpose of this program is to provide research training experience for postdoctoral students with high academic standing. The long-range objective is to increase awareness among selected residents, students and fellows of the intellectual satisfaction of research and increase the possibility of their selecting a career including dental research. For more information and if you wish to apply, please download the research grant application here. Dr. Claudie Laprise, McGill University: Human papillomavirus and head and neck cancers: a lifecourse epidemiologic approach. Dr. Raquel V Rodrigues, University of British Colombia: Approaches for increasing durability of hybridized mineralized tissues. Dr. George Dinh-Khang Le, Université de Montreal: Evaluation of the effects of osteoperforation and piezocorticision on canine retraction: Randomized controlled clinical trial. Dr. Morvarid Oveisi, University of Toronto: Development of a novel technique to be able to detect neutrophil activation phenotypes in response to specific oral commensal and oral pathogenic bacteria. Dr. Zeeshan Sheikh, University of Toronto: Development of a novel weight bearing bone biomaterial of calcium polyphosphate (CPP) infiltrated with dicalcium phosphate containing a bone anabolic drug for use in maxillofacial and orthopedic surgical applications. Dr. Petros Kechagioglou, University of Saskatchewan: Improving clinical outcomes through personalized diagnosis of human papillomavirus related to oral cancer: a pilot in vitro study. Dr. Mohammed AL Saloum, University of British Colombia: Marginal fit of CEREC E.max and Celtra duo crowns. Dr. Rebecca Chan, University of Toronto: Micro-computed tomography evaluation of the efficacy of hard-tissue removal from the root canal and isthmus area by the Gentlewave system. Dr. Anca Serbanescu, University of Toronto: Effect of Metronidazole in Modulation of Neutrophil Activity Against Periodontal Pathogens. Dr. Jocelyne Shim, University of Toronto: Impact of orthodontic finishing on masticatory performance. Dr. Fatemeh Mohabatpour, University of Saskatchewan: Regeneration of the enamel-dentin tissue using a 3D printed dual-compartment scaffold. Please send in requests via the Contact Form. At our annual meeting in October we disperse funds for dental related requests.